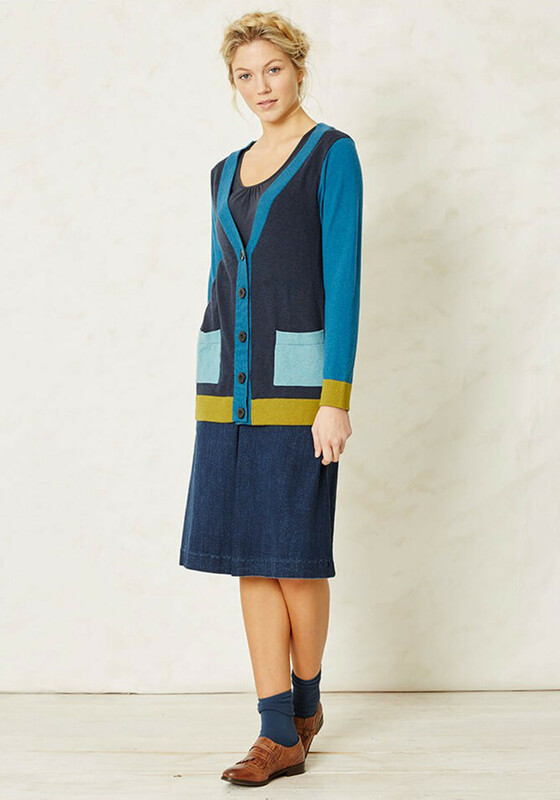 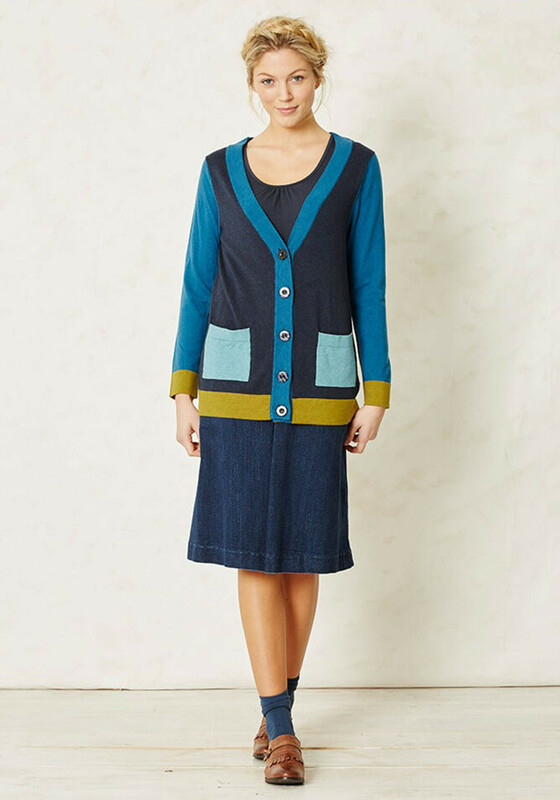 Designed by Braintree with a comfortable relaxed fit, the navy Hepworth cardigan would be an easy-wear layer to team with a plain top and jeans. 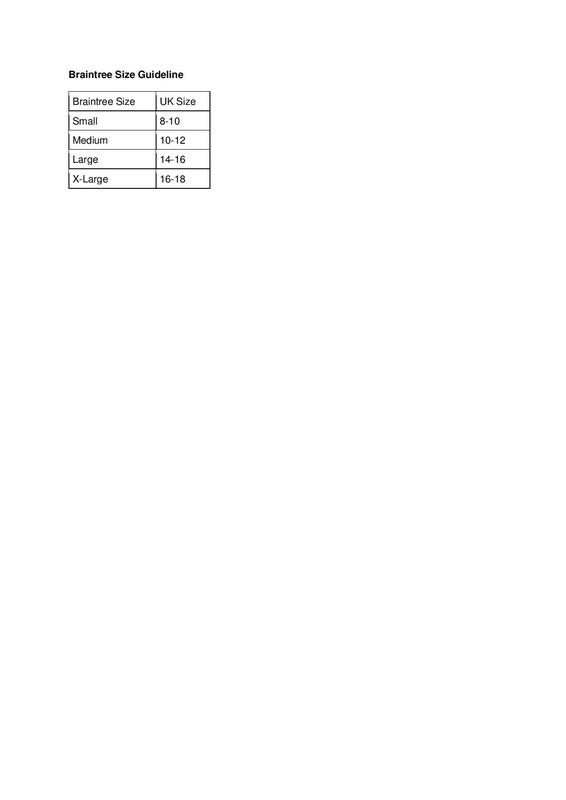 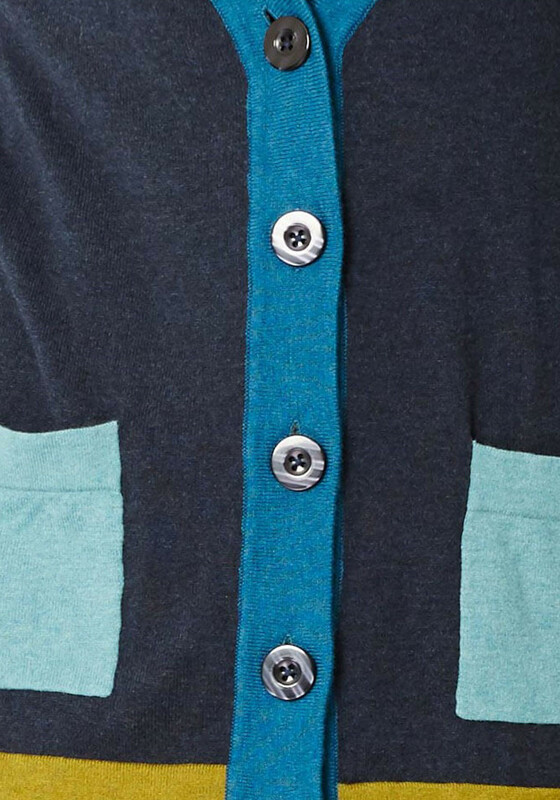 Crafted from soft organic cotton knit with a hint of luxurious wool. 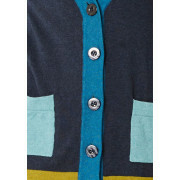 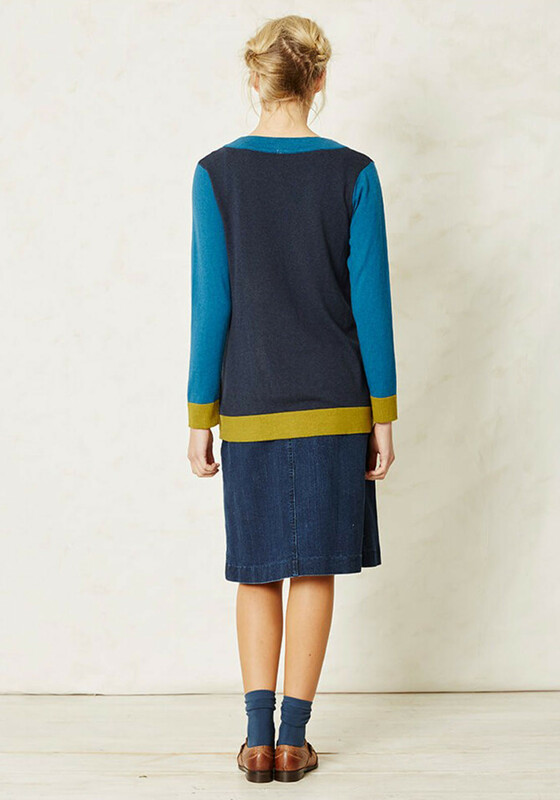 Featuring contrasting colour block long sleeves, pockets and trim at the hem and button placket.